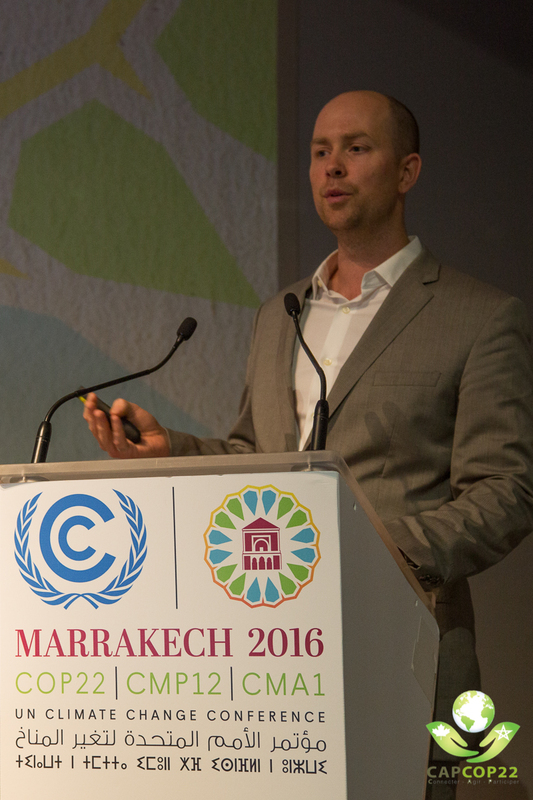 The Convention of Parties (COP22) titled the ‘COP of Action’ is wrapping up here in Marrakesh, Morocco with policy makers and negotiators from nearly 200 countries outlining with more clarity their Nationally Determined “Carbon” Contributions (NDCs) and the policy measures intended to meet the Paris Agreement. There was obvious momentum behind the deployment of key measures such as carbon pricing and renewable energy but the elephant in the room was the ample supply of low-cost fossil fuels as well as the election of Donald Trump. Addressing the elephant in the room was US Secretary of State John Kerry, who reinforced that the US would keep its commitments and stated that he was “convinced the pledges could not be reversed”. Kerry left the crowd with a much needed sense of optimism stating that, “In a time of uncertainty, actionable plans to avoid runaway climate change matter more than ever – and that’s what we got today.” Speaking about a mid-century carbon plan which commits the US to even further reductions of 80% below 2005 levels by 2050. In addition to Kerry’s statement, 360 US businesses including a dozen Fortune 500 companies issued an open letter to President-elect Donald Trump at COP22 to follow through on US commitments made under the Paris Agreement. US Companies including Nike, Hewlett Packard, General Mills and DuPont argue in the letter that participation on climate change is good for business. Both the US and Canada, as well as Mexico, Sweden and others joined Germany at COP22 in releasing 2050 plans to guide investment and drive reductions in carbon emission. The plans identified tools intended to chart the quickest possible path to carbon reductions including: fossil fuel subsidy removal, carbon pricing, renewable energy requirements and energy efficiency standards. Ontario, Quebec and California held a tri-lateral meeting focused on the benefits of their linked carbon market which helps companies realize the lowest possible costs for carbon reductions. China’s nationwide emissions trading scheme (ETS) to be rolled out in 2017 was also indicated as potentially linking-up to the EU system, taking a step towards an international carbon trading market. Financial impacts to Emissions-Intensive and Trade-Exposed industry were also recognized in various high level talks with representative from oil and gas, agriculture, mining and manufacturing. Oil and gas companies were a major focus, just prior to COP22 a number of the world’s biggest oil companies, including Saudi Aramco and Royal Dutch Shell, pledged to invest $1 billion to develop climate-friendly technologies as part of the Oil and Gas Climate Initiative (OGCI). Discussions at the COP22 Innovation Forum illustrated the opportunity for significant reductions from the mining industry including emission reductions from the integration of renewables, application of big data for energy efficiency gains and use of green financing to develop innovative technologies. 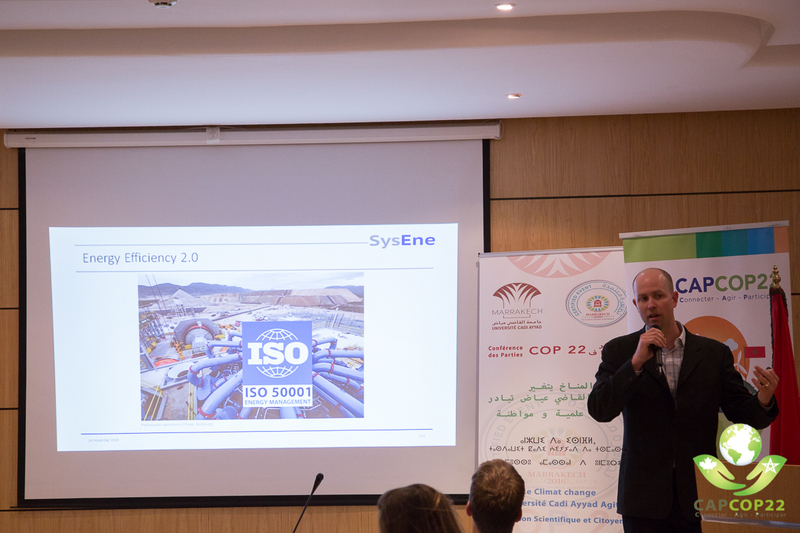 The COP22 Low Carbon Solutions Forum showcased some of the leading companies that are putting carbon competitiveness as a priority including Moroccan miner OCP. Direct impacts resulting from climate change and adaptation were another major focus of the talks. Impacts including desertification, major droughts and extreme weather events were a key focus of this “Africa focused COP”. Phosphate miner OCP illustrated how their investment in desalination would help to mitigate the risk of drought to their operations. Closer to home, impacts due to disproportionate warming in the far reaches of Canada’s north were also discussed. 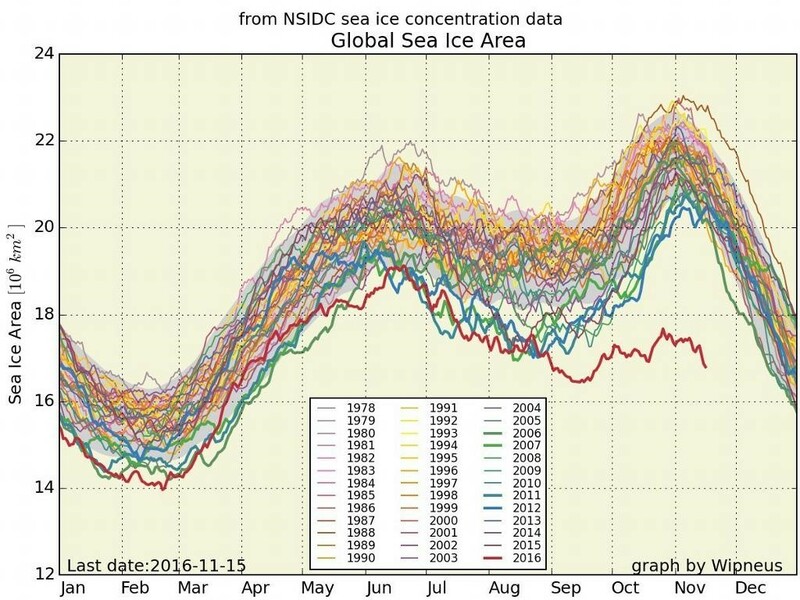 The lack of cold temperatures required for the development of ice roads, the supply lifelines for northern communities and mining operations in Canada’s North, is a risk that is already being felt as indicated in this year’s Arctic warmth and the lack of sea ice (see below). Now, after the dust has settled on the conference floor what is clear is that despite the elephant in the room, important global stakeholders are committed to continuing the momentum of the Paris Agreement with legally binding actions and a tight timeframe. Certain aspects of this international climate regime are already in place and others are in the development process. What is also clear is that businesses that have a good understanding of the financial risks and opportunities are already taking action. These companies will be able to adapt and will thrive in the future carbon constrained world. Flyn McCarthy, P.Eng. Principal, SysEne Consulting Inc. This entry was posted in Climate Change, Energy, Strategy by Flyn McCarthy. Bookmark the permalink.